Quality Viking Costume with tunic, helmet, cape and leg warmers. 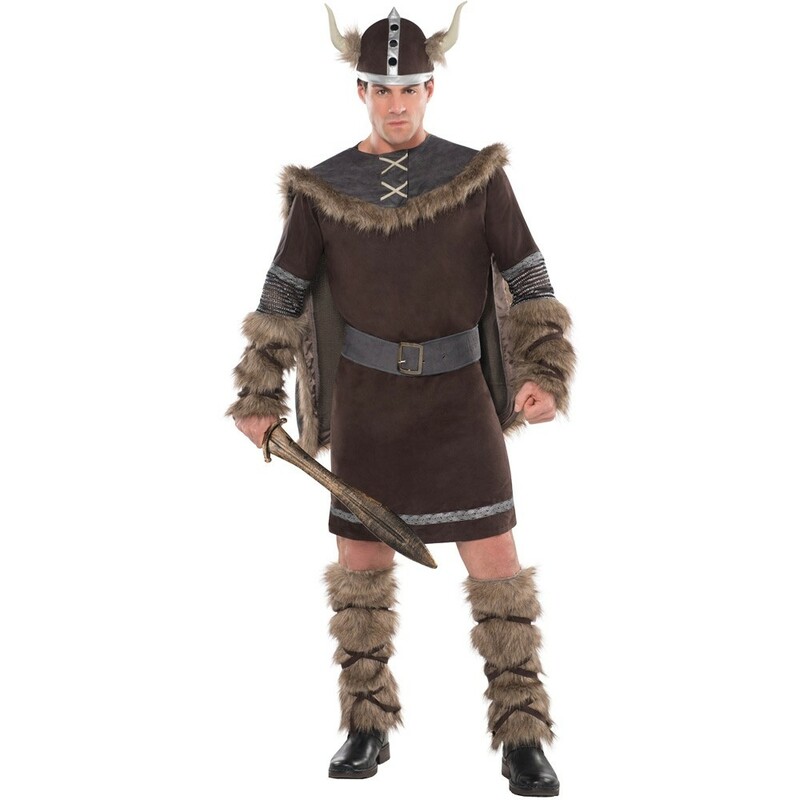 This Quality Viking Costume features a brown tunic with chainmail sleeves, an attached faux suede belt and faux fur around the forearms. Leg warmers are similarly covered in faux fur, and the helmet has two horns coming out the sides. Throw on the fur-trimmed cape and this Quality Viking Costume will be ready to set sail! Available in Medium/Large and Large/Extra Large. To fit up to approximately 42-46" chest and 46-50". Tunic, helmet, cape and leg warmers.